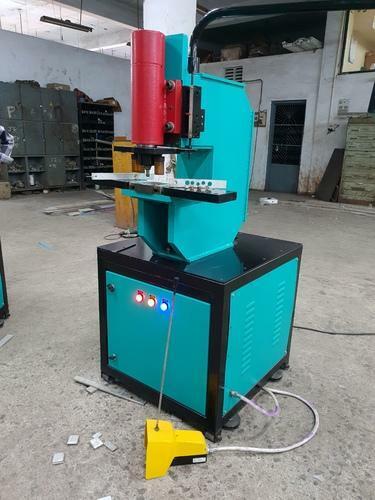 Our Hydraulic Busbar Punching Machine is capable to Punch in Alluminum & Copper Busbars Easily. in both Alluminum & Copper. Established in the year 2005 at Surat (Gujarat, India), we “Ikon Electricals” are a Sole Proprietorship firm engaged in manufacturing an extensive range of Automatic Punching Machine, Single Punch Tablet Press Machine, Punching Press Machine, Electric Cabinet Punching Machine, etc. These machines are highly appreciated due to their attributes like low power consumption, robust construction, high efficiency, low maintenance and durability. We sell our products under the brand name "Ameeka". Under the far-sightedness of our mentor “Mr. Jagdish M. Parmar”, we have been able to satisfy emerging needs of our clients in prompt manner.